Hanoi (VNA) - Vietnam’s pharmaceutical market is estimated to record revenue of 5.2 billion USD in 2017, a 10 percent increase from last year. The market is set for double digit growth within the next five years, according to Vietnam Report Company (VNR). The country’s demand for drugs is expected to rise due to increasing population and income. The average spending of Vietnamese on drugs rose from 9.85 USD in 2005 to 22.25 USD in 2010, double to 37.97 USD in 2015 and 56 USD in 2017. The average growth rate of spending on drug was 14.6 percent in 2010-15 and is set to maintain a rate of at least 14 percent until 2025. Spending is forecast to double to 85 USD per person in 2020 and 163 USD in 2025. The VNR on December 25 launched the list of the 10 most prestigious pharmaceutical firms in Vietnam in 2017. 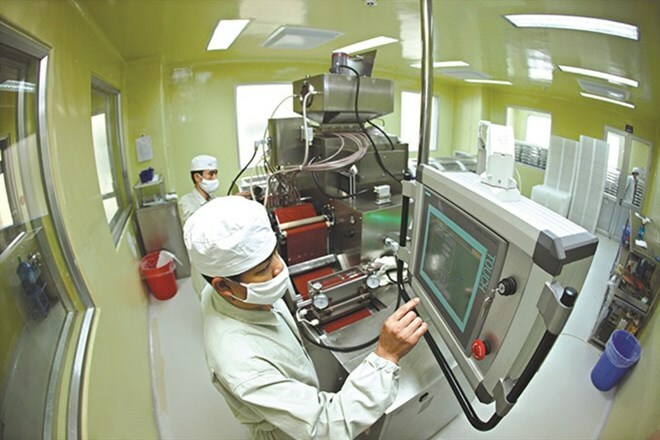 Its survey of the top 10 companies showed that most local pharmaceutical companies have high hopes for higher development in 2018, with some 75 percent of firms expecting more than 10 percent growth. The market is considered promising to foreign investors and multinational groups. The sector is predicted to see big changes in 2018 with foreign firms like Sanofi, Taisho and Abbott entering the market, pressuring local companies, according to the company. More than 90 percent of the surveyed enterprises said the process for bidding for hospital dugs and dependence on imported materials were the biggest barriers for pharmaceutical companies. The dependence has made the sector vulnerable to foreign exchange rate changes and high import costs that make Vietnam’s pharmaceutical products 20-25 percent higher than in China and India. The survey also revealed that research and development activities have been lacking due to a shortage of capital, human resources and technologies, which are strengths of foreign firms. However, cooperation with foreign companies is expected to help local firms improve their products’ quality, thus increasing their competitiveness. More than 80 percent of the companies said research for new products would be their top priory for 2018. Some 67 percent of the enterprises said they would improve through the retail system. They also called for support from the Government and links among businesses for sustainable development.